Welcome to the Buzzour removal instructions. 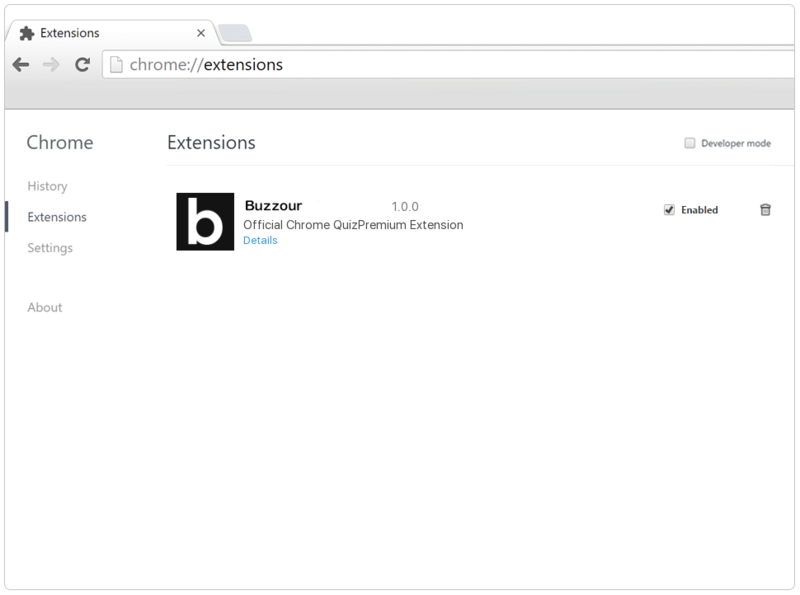 Section 1 contains steps on how to remove the Buzzour extension from your Chrome browser. Section 2 contains steps on how to remove the Buzzour extension from your Firefox browser. 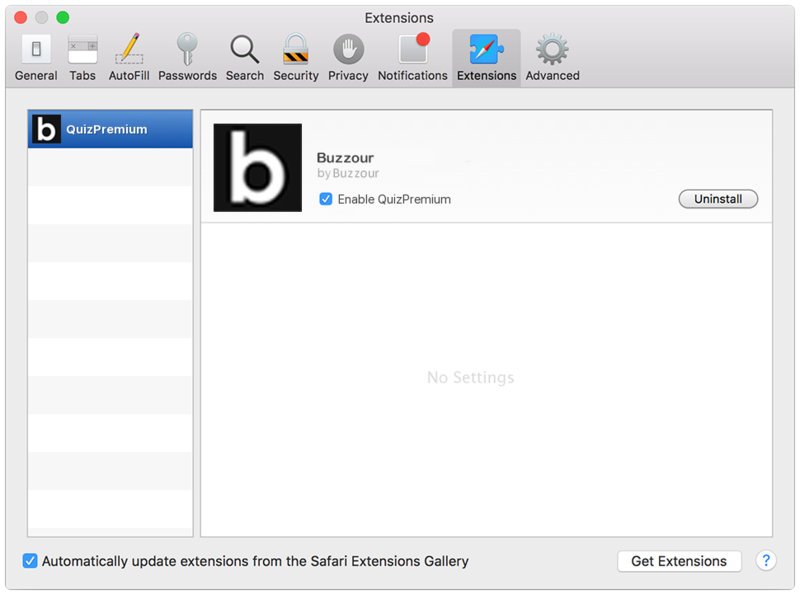 Section 3 contains steps on how to remove the Buzzour extension from your Safari browser. 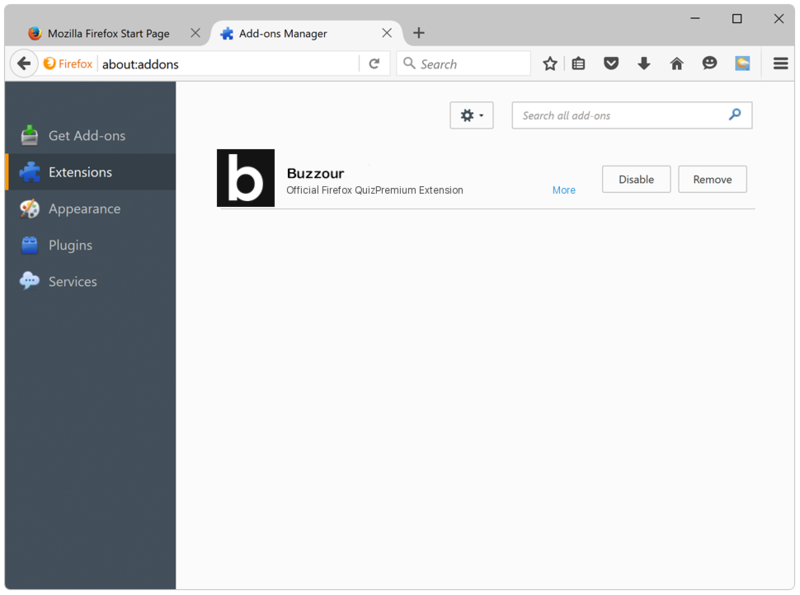 To remove Buzzour from your Firefox browser, follow the simple instructions below: Step 1: Click on Tools in the menu bar (Hamburger icon) of your Firefox browser and go to “Add-ons”. 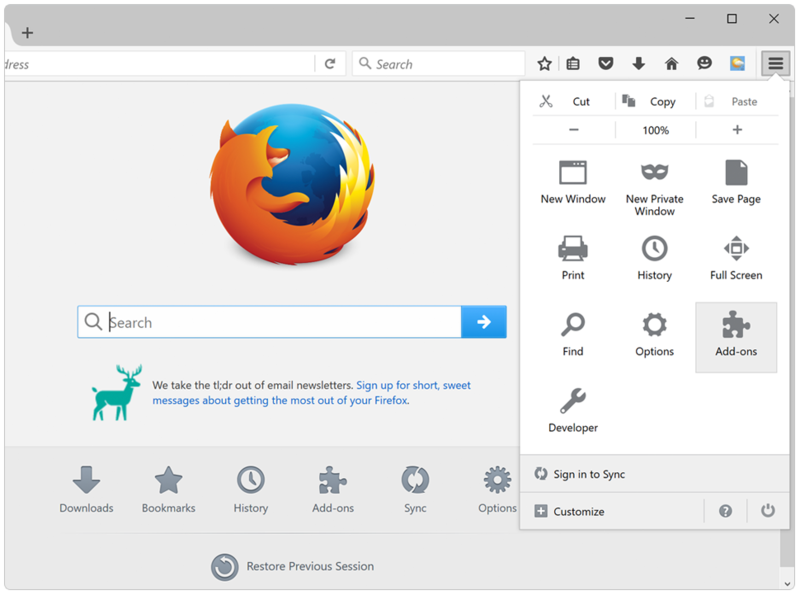 Step 3: Close your Firefox browser completely and reopen it. 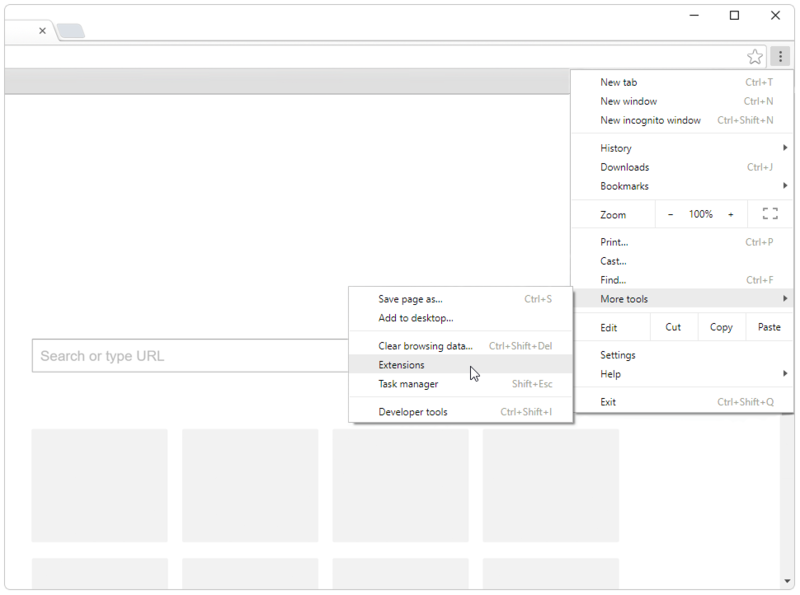 The extension should be removed from your Firefox browser. 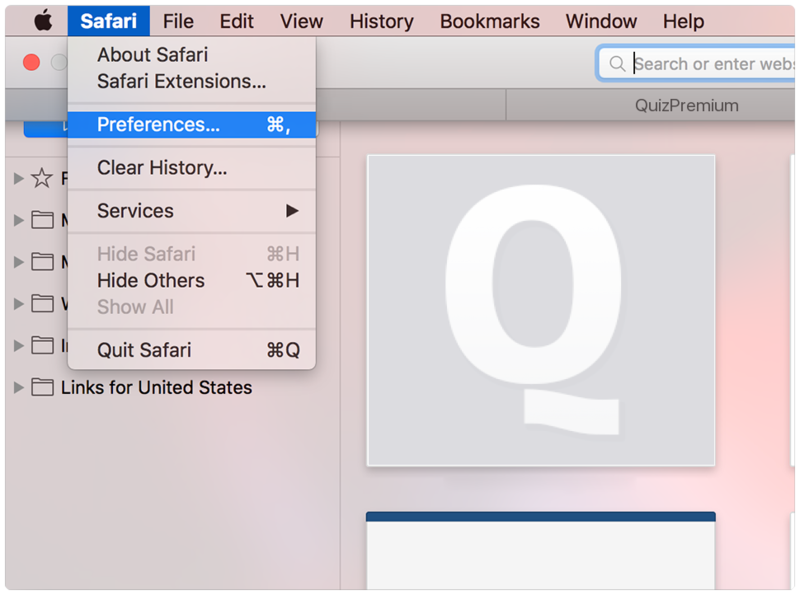 To remove Buzzour from your Safari browser, follow the simple instructions below: Step 1: Click on Safari in the menu bar of your Safari browser and go to “Preferences...”. 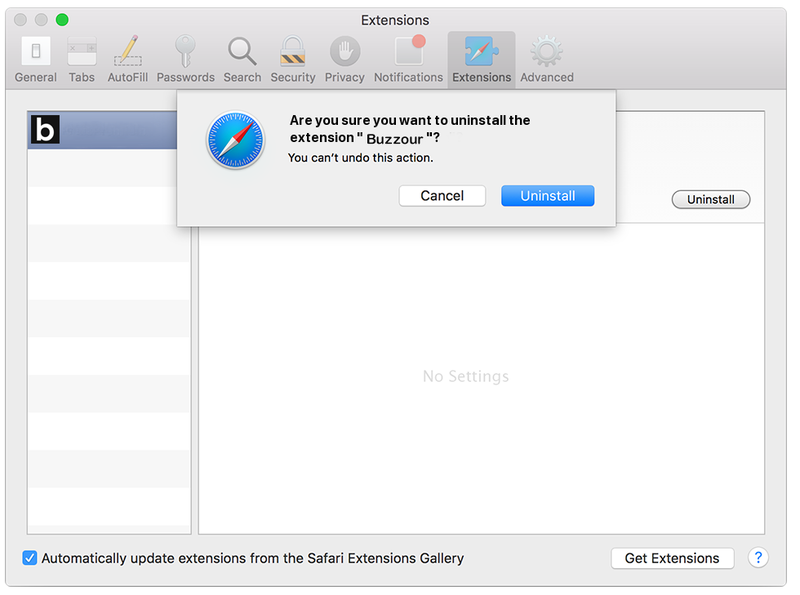 Step 2: Go to the Extensions tab and click on “Uninstall” in the QuizPremium extension listing.